Kid Icarus: Uprising Producer Masahiro Sakurai tweeted late last night that the upcoming game would come bundled with a new peripheral: the Official 3DS Stand. It&apos;s designed to ease touch screen gaming—the 3DS is slightly heavier than the DS Lite, and using the circle pad with one hand and tapping with the stylus in the other can prove tiring after even a short time. 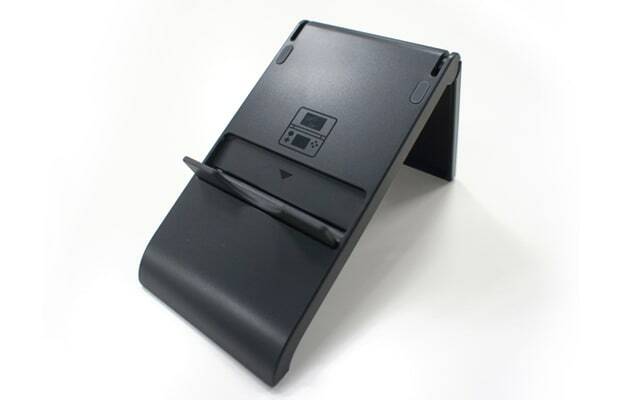 The stand will sit on a table, counter or desk (perfect for playing at the office), and the 3DS will rest on top. This will also ease the viewing of Netflix and other video apps, so hopefully it will be sold separately. Come to think of it, hopefully we&apos;ll see it at all outside of Japan. Thanks to The Verge. This announcement come on the heels of a similar one yesterday that revealed that Uprising will take advantage of the 3DS&apos;s Circle Pad Pro attachment for left-handed gamers. Does the stand seem like a good idea to you, or is it a waste of plastic? Are you looking forward to Kid Icarus: Uprising? Let us know in the comments or on Twitter.